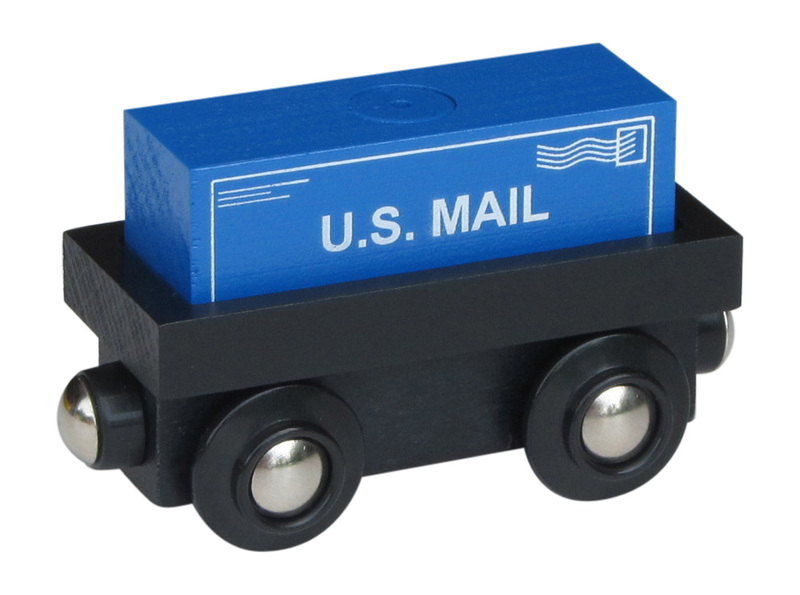 Wooden train cargo car with removable "U.S. Mail" magnetic cargo. 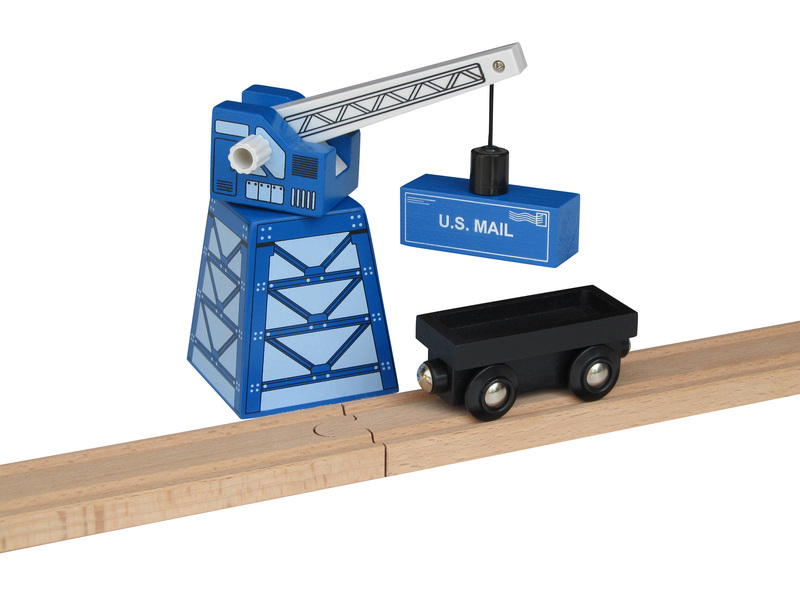 A one of a kind car to add to your wooden train collection. Magnetic cargo is removable. Exclusively here! Approx. 3" long.